An UEFI compatible GPU (Most modern gpus support this, SEE: Does my graphics card ROM support EFI? NOTE: Enabling this will disable DRI! DEVICES="0000:00:11.0 0000:04:00.0 0000:05:00.0 0000:06:00.0 0000:07:00.0 000:07:00.1"
Windows will complain it cant find a disk to install to, just click browse, find the folder for your os/arch, select "RED HAT VirtIO pass-through controller" then click next. If you dual boot like me you can pass an entire sata controller (in ahci mode) and all the drives attached, and seabios will boot from them. Im using -cpu Opteron_G4 instead of -cpu host, this shouldnt affect performance though. NOTE: Most of these settings affect vcpu performance, gpu performance remains about the same. Thank you for the very detailed post, nbhs! I've been struggling to get Xen working in either a primary or secondary passthrough situation over the past week, and I was about to start trying with KVM. This guide will sure come in handy. 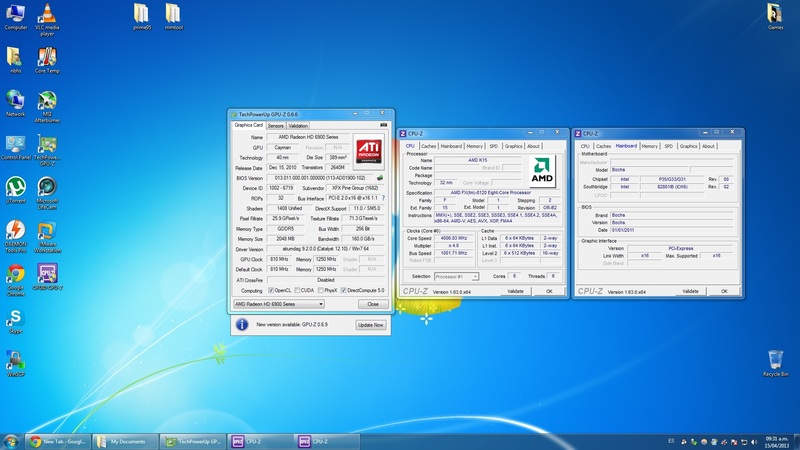 Like you, my ASUS motherboard has a broken IVRS table (with precisely the same wrong values as yours, apparently). In addition to overriding it in the kernel, I actually went to all the bother to send ASUS a detailed and helpful support request detailing the AMD IOMMU spec and the chipset documentation, telling them how they could fix their firmware. My mistake, as the support guy continually misunderstands me due to the language barrier (and because he probably just wants me to go away). So I'm almost certainly wasting my time trying to get the actual responsible party to fix their broken firmware. I'll keep you posted on any issues that I run into as I give KVM a try. Yeah so did i, unfortunately asus doesnt support linux, and their tech support are bunch of monkeys behind a keyboard, they remind me of this http://www.youtube.com/watch?v=C2Ph8zwpNyI, ill never buy a product from them ever again. I've run into two problems so far. First problem: I had to stop using the proprietary ATI graphics driver on the host, as running the VM and X at the same time would hang the system. Unfortunately, the fglrx module thinks it's a great idea to grab all the cards in the system and remap their IRQs (as shown by dmesg and /proc/interrupts) despite them actually being assigned to pci-stub. Apparently it just scans the PCI bus looking for ATI cards and then configures all of them, no matter which device the module was actually loaded for. Brilliant. I thought I might be able to get around this, as I was able to hack the PCI ID for the 7870 out of the fglrx kernel module by modifying /usr/share/ati/build_mod/fglrxko_pci_ids.h and rebuilding. After I did this, the fglrx kernel module ignored the secondary card like I wanted it to. But the fglrx X driver would then refuse to let X start, since it was doing its own PCI bus scan, in which it recognized the secondary card and realized that the kernel module hadn't configured it. And to my great disgruntlement, the fglrx X driver ignores useful options like "AutoAddGPU" "false", plus I can't just hack their PCI scan to ignore the card because they've gone and duplicated a bunch of external code (like the PCI bus scanning). I basically can't change its behavior because it's closed source. I suppose an older version of fglrx might work (pre-7000 series, so it wouldn't recognize the card). Hacking the kernel to misreport the PCI ID would probably work too. For now, though, just using the open source radeon driver is an acceptable solution. Second problem: despite the new patches to qemu and linux, the card is apparently not being reset between guest runs. If I run the VM twice, the host will hang, gradually getting slower for a few seconds until it freezes, almost like it's experiencing an interrupt storm or something; eventually even Magic SysRq doesn't work. Suspending the host appears to be enough to reset the card, so for now, I'll just suspend/wake between VM runs. I plan to try the eject-before-shutdown method too. Everything else seems to be working though. Performance is impressive! Now I need to buy a USB switch for input devices; or maybe I'll just solder/glue one out of spare parts. Those things are ridiculously overpriced for what amounts to a 4-pole, double-throw switch with USB ports on the ends. Thanks for the report!, I had no idea about fglrx, i havent used them since i had a Radeon 9800xt , and opensource is good enough for my 5450. You can try ejecting the card on windows just like you would eject a pendrive, method No3 is about the automatization of this process before shutting down/restarting the guest. You could also fill a bug report on qemu-devel about the card not reseting properly, in my case i can hear the gpu fan speeding up after a reset. I also re-uploaded linux-mainline based on 3.9.2 and qemu-git packages with reset patches, they're working fine on my pc. Or use my script, and modify VBIOS="" to VBIOS="/path/to/rom"
Tried to get it working for me too, but with no success. So I was looking around the internet and found this thread. Tried many hours to get it working, but I don't get any picture to the screen. No Seabios Texts and nothing in Windows after installing ATI drivers with vnc (and removing VNC again) like it was working with pci-assign. Have tried Qemu-git from AUR, Qemu-1.5-rc1, seabios from your link, stock kernel (3.9.2-1) and kernel 3.10-rc1. Did not change anything . The only thing I havn't tried till now is to dump the VGA bios and put it in. Will do this today, when I´m at home. IOMMU is enabled. logfiles look good (for me ). The only thing is "DMAR: No ATSR found". You have a Idea about this? Full logfiles I can add later. I also tried all with pci-stub entries at grub and without, same with the interrupt remapping entry. Please use the linux-mainline, and qemu-git packages that i posted on "RADEON RELATED PROBLEMS", it has this enabled by default. yeah. I forgot to say this. I changed the configuration of the kernel . I enabled the 4 vfio things in the kernels I used. I finally got some progress. Now I see the seabios in passthroughed screen, but with blinking cursor in it, so i will try some things . NIce! have you tried running windows with it yet? does it work if you dont load the rom file by hand? This was, when I got some seabios picture. After some reboots I wanted to try it again, I was spammed with errors . Dont have them to show you now... will look for it. [    0.402787] Hardware name: To Be Filled By O.E.M. You should set you primary boot device as IGP instead of pcie, vfio-vga wont work on you primary vga device. Have you tried setting intel_iommu=on,igfx_off or intel_iommu=on,igfx_on with igd as primary? Thx for your help . Will follow the conversation you linked me + try again with a second graphic card. I finally had time to give this a try, and it doesn't seem to make a difference. The VM works fine the first time, but the second time, the host freezes up as the guest boots. I tried a ROM image obtained via sysfs and one from techpowerup.com (different version for the same card); no visible difference. What I may try next is swapping the cards. This isn't the configuration I'll want to use in the long term, but it will be interesting to see if the 5750 behaves any differently from the 7870 when passed through. Incidentally, secondary passthrough (-vga cirrus or -vga std) doesn't cause any additional problems, which is nice, although it doesn't fix anything either. This didn't happen previously. Overriding the ROM on the second boot seems to get past this problem, but then the host freezes up, just like before. Have you tried the "eject" method yet? I'm still wondering why my particular card doesnt have this issue, i used to get performance degradation without reset patches but my host never crashed. That's on my list of things to do, but first I'm going to reply to the qemu-devel mailing list. I want to figure out why the pci reset from software isn't happening (presumably it is not happening, since suspending the host makes everything work properly). I don't know if it's possible to divine from the DEBUG_VFIO output why the reset attempt failed, or if the hardware is just silently ignoring the request. Oops. It seems that I forgot to change the pci-stub vendor and device IDs when I swapped cards. X wasn't running, but the radeon module might have been loaded. So maybe the card-swapping results were invalid. I don't want to switch everything over again though, what a pain. I put in a second graphicscard and tested it again. The bad thing is, that both graphicscards are in the same iommu-group + 2 PCI-Controller 01.0 and 01.1. Think that is because my 2 PCIe Ports share share the 16 lanes, that are normally used by the first port. Any other thoughts about this?